What Message Are We Sending to Young People? 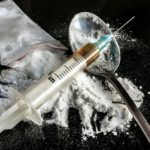 Everyone seems to searching for an answer or way to have an impact on the current heroin epidemic. There’s been a lot of conversation, meetings, and awareness events. Here’s a suggestion that each one of us can implement starting tomorrow that is a zero cost idea guaranteed to have an impact. It doesn’t matter how many time you tell a young person how they should act, what they do will be modeled after what they see happening around them. As parents, our goal is for them to grow into resilient, well-adjusted adults who are capable of meeting life challenges and overcoming them. This is achieved through love, stewardship and guidance. We teach them how to be navigators in a life that for them is much more complex than we ever imagined. 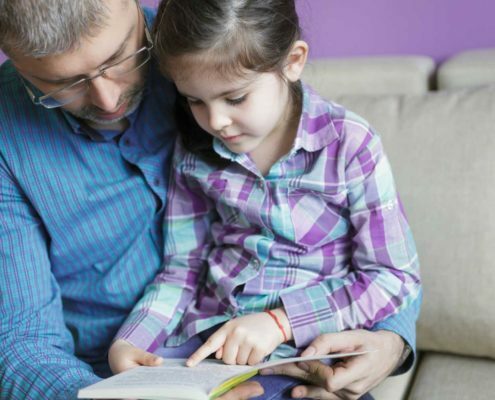 Young people are continually bombarded by messages every second of the day, from the texts they get on their phones, to the shows they watch on TV, to the behavior they observe of the adults in their life. They look to adults to see how to model their own behaviors regarding work ethic, conflict resolution, appreciation, celebration, stress, loss and grief. What we all must be mindful of is the message we send through our actions. What are we saying when under-aged kids are allowed to drink at a party because “we took all their keys.” What is the takeaway when they open up our medicine cabinets or look through our bedside tables? How do we demonstrate constructively resolving a disagreement or dealing with a difficult co-worker—or life crisis? Don’t misunderstand. There is nothing wrong with responsibly enjoying an alcoholic beverage. Drinking is not the problem. What we do need to do is take a really hard look at the role models our children are looking to emulate—including us. No matter how much young people may say they don’t want to be like their parents, parents are the first and strongest role model they will ever have. We live in a world of immediacy and instant gratification. We don’t even have to go out and wait in line to shop — do it from your bed and have it delivered. There is constant media advertising about a pill that can quickly cure you of whatever ails you (don’t mind the long list of deadly side effects). Adults routinely come home from work and pour a drink because “it’s been a really hard day,” and then take a pill to get to sleep. So if a young person is experiencing alienation, anxiety, loneliness, a desire to fit in or pain—they are constantly being shown that there is a quick-fix answer, whether it comes in a pill or a bottle. The good news is things are far from hopeless. We can have an impact on what decisions they ultimately make. To do so effectively, though, we need to openly talk about these things, the risks and the dangers, and model the behaviors we’d like them to adopt. Show them constructive coping skills. Help them feel comfortable about who they are. Show them how to meet life’s ups and downs. Show them how to navigate the world—don’t tell them. Nothing is more powerful. This is not just the job of the school, or the police, or the church. We have to own this. I believe there are dozens of ways large and small that we can change our behavior and become better role models from households, to communities, to the media and beyond. Lives hang in the balance. Let’s keep the conversation going. Thank you so much. Sending you our wishes for good health and peace, always. From all of us at Liberation. It’s OK to Seek Treatment for Heroin Addiction My name is Nancy and I’m thriving in recovery.